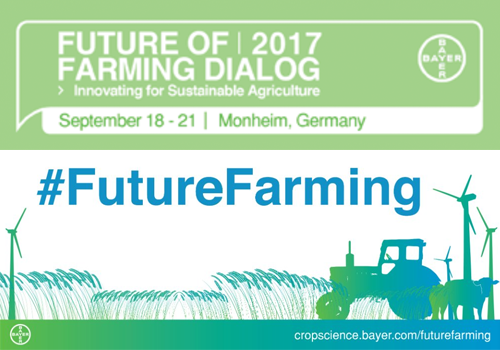 From September 18 to 20, 2017, the Crop Science Division of Bayer is hosting the “Future of Farming Dialog 2017” in Monheim, Germany. On Tuesday, September 19, Liam Condon, Member of the Board of Management of Bayer AG and President of the Crop Science Division, and Adrian Percy, Head of R&D at Crop Science, will deliver an executive address at the Crop Science Headquarters, in Monheim. This will be followed by a Q&A session, keynotes, and discussion throughout the afternoon. The Access to Seeds Index’s executive Director Ido Verhagen will participate in a afternoon panel discussion on ‘Regulatory Perspectives on Current and Future Technologies’. Other guests invited to this panel include Dr. Suthad Setboonsarng, member of the National Reform Council of Thailand, Jim Aidala, Senior Government Affairs Consultant with Bergeson & Campbell and former senior official at the U.S. Environmental Protection Agency (EPA), and Michael Keller Director General at International Seed Federation.